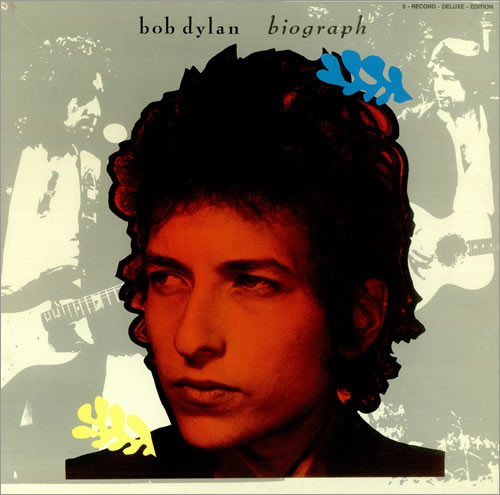 This is a compilation of Bob Dylan material with no particular chronological order, with is a little frustrating and, also, no real concept behind the choices other than being a sort of "best of" together with many notable unreleased rarities. It is these that are of most interest to most Dylan fans, although it can also function pretty well as a "best of" too. With remasterings now available for much of the material, the sound on the set is not of as good a standard as these later remasters, and it has always sounded a bit muffled to me. "Quinn The Eskimo" - from "The Basement Tapes"
The ones that are of particular interest to me are the two "Blood On The Tracks" outtakes and the "Blonde On Blonde" and "Desire" material. However, quite a few of these tracks have subsequently been made available, in remastered sound, via the "Complete Works" box set, rendering this set pretty redundant.